A man born under a fate, to found a new land, that he later names Goguryeo. He goes through the battle of his birth, siblings hatred towards him, his adoptive father's harmful love and hatred, his real dad's identity, trying to protect his mom as he leaves for his safety, while following his fate that leads him from one disaster to another, while forming friendships and comrades on the way to his destiny. As he subdues kingdoms under his rule and makes allies, he is in a constant battle with his adoptive father's kingdom - they need to come to an agreement but his father is too greedy and his brothers just want him dead. A master with the arrow (given his name) follows the footsteps of his biological father. He goes from an immature "child" who can barely fight to a powerful leader that is a match none can beat. His skills with the arrow are impeccable and he gradually learns to wield the sword - and become one with it. He meets romance along the way - but it can be a destiny bound to hurt as they go their separate ways - but remain allies. [I personally LOVED this drama and have watched it twice ♥ I've been meaning to watch it again soon] Song Il Guk does such a great job portraying Jumong in his fight for survival and leadership. That is what captured my attention. Forget the romance and just watch a powerful man build a new land - it's an amazing journey! This drama is like a sequel to Jumong, as it follows the life of Jumong's grandson Mu Hyeol. I watched it right after Jumong because of this. Song Il Guk takes on the role of Jumong's grandson which was another thing I found interesting "Jumong playing Jumong's grandson" *Hey look, they look alike! * :P This drama is also very well done (although it's not as long as Jumong at 81 episodes, it has 36 episodes and the stories, although similar are vastly different). 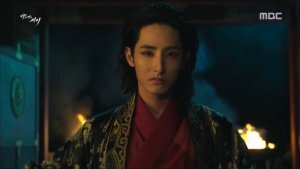 Mu Hyeol is born under a "curse" and is cast away by his father by the demand of the people who wanted him murdered (his father "stages" his murder and instead ships him off to live his life in a cave). Mu Hyeol grows up without seeing the sunlight, he desires to be out in the world and manages to wriggle out of his "prison" only to find secrets he never knew existed, and people who wanted him dead. He goes through so much torture in this drama, it made me want to cry, the poor guy :"( and of course misunderstandings about the past were thrown at him. Romance plays a bigger part in this drama than it does in Jumong and I honestly loved the romance between the main couple. He fights to prove that his so called devastating fate is something that doesn't have to happen. I loved all the side characters in this - especially the bromance/anti-bromance between Mu Hyeol & Do Jin as well as the brotherly love between Mu Hyeol & Ma Ro. - All in all, a great drama to watch for historical lovers (without the politics). If you like detective or crime related dramas, then you're sure to like this one. I watched it for SIG & an mv I saw of it on YT. Song il Guk's character lost his daughter because of a cops misguidance in catching a criminal. That misguidance lead the car the criminal was driving to swerve into a nearby café where his little 4-5 year old daughter was waiting for him. After some years go by, he continues to search for the truth and tries to capture his daughter's "killer". Besides this backstory, we have several other cases they try and solve together as detectives. As well as a nosey reporter who has her eye on our leading man. I thought the drama was great. 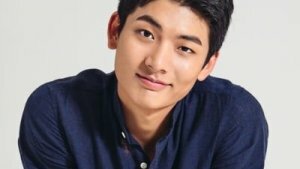 Song Il Guk plays Harry/Ju Ho who lost his father during a "war" when he was young, he migrated to America with his younger sister to live with his aunt - whom he later had to escape in order to save his little sister. He grows up and meets a female lobbyist whom he then starts to work for in order to pay off a huge debt. He unintentionally ended up meeting his "first love" just before this and does everything he can to protect her whenever they meet. She soon starts learning how to become a lobbyist in order to seek revenge on the person who took someone close away from her. They start their journeys on different feet and different mindsets but always end up colliding with each other. I recently finished this drama and I enjoyed it - it did drag around episodes 14-17 but the rest of it was good, and the OST is absolutely amazing! If you've seen Swallow the Sun and liked it, then you'd probably like this drama too. Song Il Guk plays Yum Moon, a pirate. This drama is basically about Merchants who try to do their business but are constantly attacked by pirates. Jang Bo Go was a slave, he was sold in China during the Tang Dynasty, where he was trained as a gladiator-slave. Through hard work and perseverance, he made it back to Shilla and became a successful sea merchant. The sea passage at the time was plagued by pirates and Jang Bo Go went head to head with them in battles and managed to keep the pirates at bay. I think it's good for a one time watch. It is a bit slow and I watched it on speed because of it. There are tons of action scenes (swordplay/martial arts/horse chasing)... The acting is good and the OST was amazing. - I'd recommend you watch all the other Song Il Guk dramas before this one though - as he does play a sort of villain in this one. This drama shows how devastating and hurtful it can be for a woman to live with a boyfriend before marriage and not end up tying a knot with him. Korea has the second highest divorce rate in the world as more and more families become ruined -- mainly because one of the spouses cheat. To make things worse, the mass media continues to champion premarital cohabitation as a choice that unmarried couples are free to make. Terms of Endearment depicts today's harsh reality and once again reminds us of the sacred meaning of marriage and the importance of family. 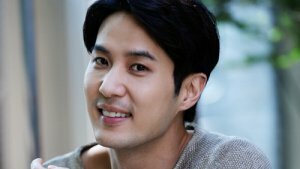 He stars in several other "older" dramas, as minor roles. He got married March 15 2008 to a High Court Judge. Many people know him through the variety show Superman is Back with his three adorable triplets (sons). *Interesting fact* >The triplets are named Dae Han, Min Guk and Man Se, which also means "Long Live the Republic of Korea" when said together. If there is an actor or an actress that is worthy of a Stalker's Guide in your opinion, and you have watched enough dramas of his/her to prove it, please contact Elisabetta about it.